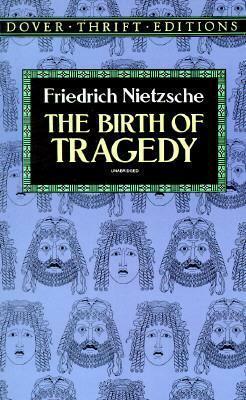 Nietzche's 1st great book is here with one of his last. Together they sound the themes that remain at the heart of present day philosophical and cultural debates and dilemmas. Among the most influential philosophers of modern times, Friedrich Nietzsche (1844-1900) declared in this classic study that Greek tragedy achieved greatness through a fusion of elements of Apollonian restraint and control with Dionysian components of passion and the irrational. In Nietzsche's eyes, however, Greek tragedy had been destroyed by the rationalism and optimism of thinkers like Socrates. Nevertheless, he found in these ancient works the life-affirming concept that existence is still beautiful, however grim and depressing it may sometimes be. These and many other ideas are argued with passionate conviction in this challenging book, called by British classicist F. M. Cornford "a work of profound imaginative insight, which left the scholarship of a generation toiling in the rear."